Pinedale Wyoming, WY - Welcome! As the gateway to the Wind River Mountains, Pinedale Wyoming and its surroundings offer a great place to stop on your way to or from Jackson. Why should I visit Pinedale? Pinedale is a small town with a big heart. Due to its location so close to the Bridger Wilderness and the Wind River Mountains, many outdoor enthusiasts make Pinedale their jumping off point for outdoor adventures. The “main street” of Pinedale WY is US Route 191, which connects Jackson Hole to Rock Springs. Many commercial businesses are found along this corridor. A small body of water, Pine Creek, also flows through the middle of town. 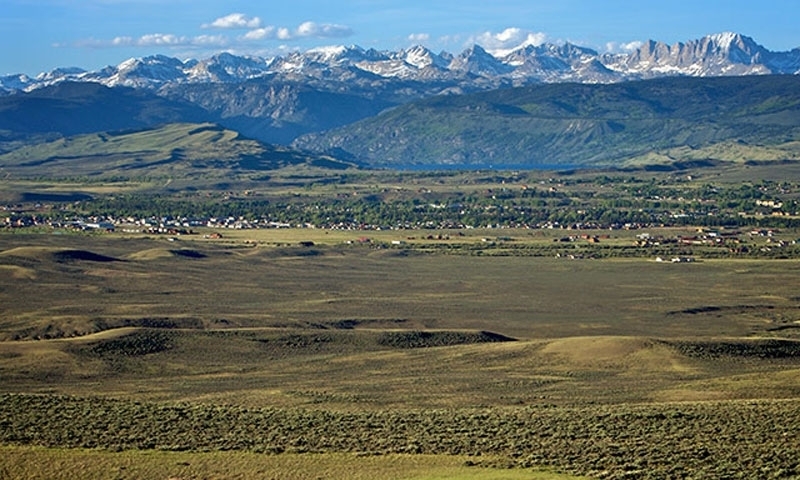 Pinedale can be found in western Wyoming, on the western edge of the Wind River Mountains. 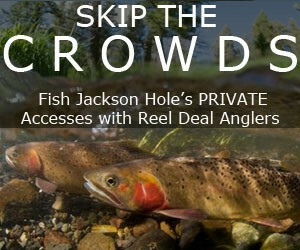 Jackson Hole is approximately 78 miles to the north and Rock Springs is approximately 100 miles to the south of Pinedale. 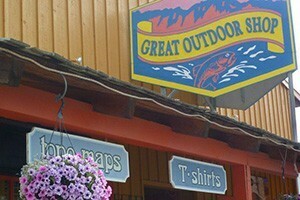 What sort of Services and Amenities does Pinedale offer? Pinedale has a population of roughly 2100 residents. The town and surrounding area have several lodging establishments, places to eat and some downtown shopping opportunities. This little town has a medical clinic, county library, two weekly newspapers, a retirement center, and two town parks. Recreational facilities include a recreation center, 9-hole golf course, indoor public pool, public ice-skating rink, skateboard park, tennis courts, downhill and cross-country ski facilities and paved walking paths. What can I see and do in Pinedale Wyoming? Home of Jim Bridger's rifle, fur trade & Plains Indian exhibits. In mid July, the Green River Rendezvous is re-enacted in Pinedale during a 4-day celebration. Access the Wind Rivers via Elkhart Park Trailhead. You can enjoy a day hike to Photographer's Point or set out on a backpacking trip to the Cirque of the Towers. The second largest natural lake in Wyoming, Fremont Lake is 12 miles long and 1/2 mile wide. 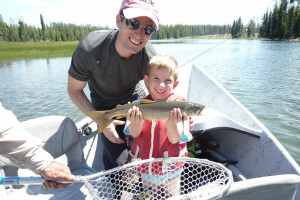 The lake offers great fishing, boating, and camping. Just north of town head into the Green River Lakes, another access point to the Wind Rivers, for a day of fishing and hiking. Located just north of Pinedale on the way to Green River Lakes, the Kendall Warm Springs contain a fish found nowhere else in the world! The Kendall Dace (Rhinichthys osculus thermalis) is only 2" long when fully grown. The warm springs is only a couple hundred yards long and has an average constant temperature of 84.4F. It has a thick bed of travertine that is thousands of years old. The Continental Divide Snowmobile Trail passes right through Pinedale. Official site for Sublette County, Wyoming.